The Audiologists at Topeka Ear, Nose & Throat are trained to the Master’s or Doctorate level and work in partnership with our ENT physicians to identify, diagnose and treat any hearing-related issues. Their expertise, coupled with access to the most technologically advanced diagnostic tools and hearing aids, ensures every patient receives the finest hearing care available. Our Audiologists regularly travel between our locations in Topeka, Emporia, Lawrence and Junction City and to our nine satellite locations throughout eastern Kansas to treat audiology patients and fit hearing aids. Please call the specific location to find out hours and days. Why choose a Topeka ENT Audiologist? Jessica Gaughan received her undergraduate degrees from Kansas University in anthropology in 2003 and speech, language and hearing in 2012. She went on to earn her Doctor of Audiology from Kansas University Medical Center in 2016. 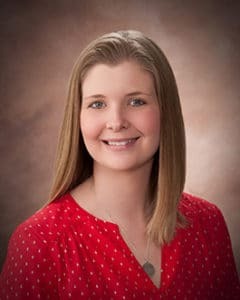 Jessica specializes in vestibular diagnostics, with clinical interest in vestibular audiology, pediatric and adult diagnostics and rehabilitation, evoked potentials and hearing instrument fitting. 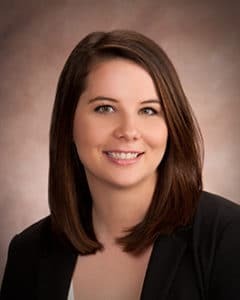 Jessica chose to pursue a career in audiology because of her family history of congenital hearing loss as well as her own personal journey in surgical treatment of hearing loss. 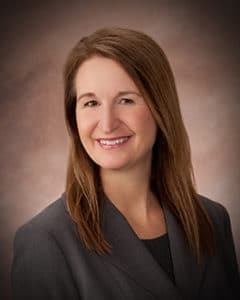 She is a member of the Kansas Speech-Hearing Association, the American Speech-Language-Hearing Association and the American Academy of Audiology. In her spare time, Jessica enjoys running, crafting, sewing and traveling. Tammy Gonzales earned her undergraduate degree in communication sciences as well as her Doctor of Audiology at the University of Kansas. She specializes in dizziness and balance testing, treatment of hearing loss and tinnitus management. Tammy chose to become an audiologist because from a young age she knew she wanted to help people, and she loved her college classes about hearing. She is a Fellow of the American Academy of Audiology and acting treasurer of the Kansas Speech-Language-Hearing Association. In her spare time, Tammy enjoys reading, running and spending time with friends and family. 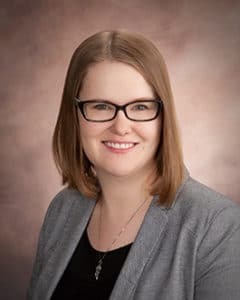 Julie Neuenswander earned her undergraduate degree from New Mexico State University and her master’s degree in audiology from Wichita State University. Her expertise is in clinical audiology, specifically amplification. Julie chose to become an audiologist because she enjoyed studying the science and anatomy of the ear and brain and because she wanted a hands-on approach to help patients reach their full potential. She is a member of the Kansas Speech-Language-Hearing Association as well as the American Speech-Language-Hearing Association. In her spare time, Julie enjoys watching her kids play sports and visiting the lake and golfing with her family. 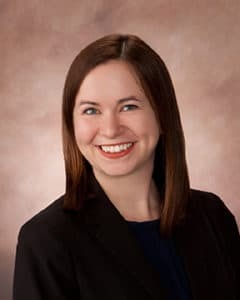 Jessica Whalen earned her Bachelor of Science in communication sciences and disorders in 2005 and her Doctor of Audiology in 2009 from Wichita State University. Her area of specialty lies in caring for the hearing health of pediatric populations, but she enjoys working with geriatric patients as well. Her clinical interests include diagnostic audiology and amplification. Jessica decided to pursue a career in audiology because of her experience working with patients with disabilities during her study of ASL. She is a member of the Kansas Speech-Hearing Association as well as the American Speech-Language-Hearing Association. In her spare time, Jessica enjoys reading romance, mystery and self-help books. Samantha Rensch earned her undergraduate degree in communication sciences and disorders from University of Iowa and is expected to graduate from Northern Illinois University in summer 2018 with her Doctor of Audiology. She specializes in pediatric and adult diagnostics and rehabilitation, electrophysiology assessment and humanitarian audiology. Samantha wanted to become an audiologist because she finds great joy in working with people and helping them reconnect to their world through sound. She is a Fellow of the American Academy of Audiology and a member of the American Speech-Language-Hearing Association. In her spare time, she enjoys traveling, hiking, reading and spending time with her family and pets.